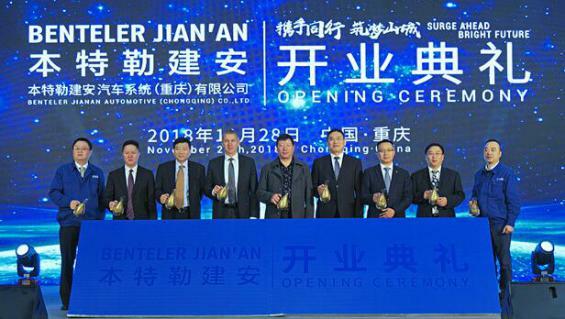 Benteler Jian'an Automotive (Chongqing) Co Ltd, a Liangjiang-based project jointly developed by Changan Automobile and Germany-headquartered Benteler Group, officially declared itself ready for production on Nov 28. The project will mainly deal with automobile chassis (base frame) manufacturing, chassis components design, testing, production and selling, as well as technical consultation and support. 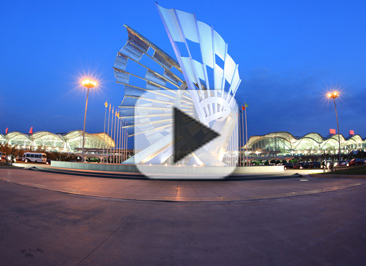 Its workshop covers an area of 41,536 square meters and is equipped with stamping, welding, shot blasting, laser cutting, machining, riveting and other core technologies. As an important part of Benteler Jian'an's business strategy in Southwest Sichuan and Chongqing, the project will be a platform allowing for collaboration with major car manufacturing factories including Changan Automobile, Changan Ford, Changan Volvo and FAW Volkswagen (Chengdu Factory). Benteler pays great attention to Chinese brands and it is now speeding up the process of Chinese localization in a bid to provide quality products that meet the needs of the Chinese market, said Ralf Göttel, Global CEO of Benteler Group. Supported by the Changan Ford C519 project and the Changan C211 project, Benteler Jian'an achieved mass production in March, with the Changan C211 adopting Benteler's advanced rear twist beam axle design. 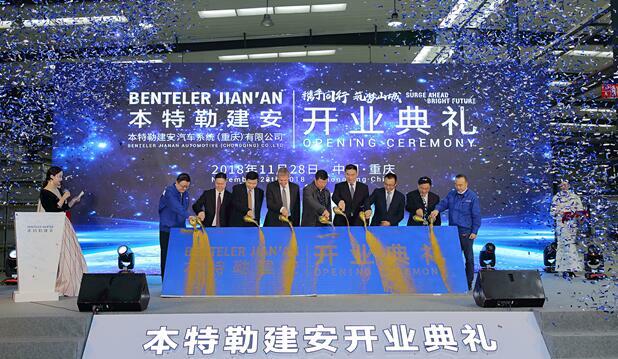 Benteler Jian'an plans to strengthen its comprehensive abilities by expanding its business scale, developing its research and innovation capacity, and exploring more customized products for the Chinese market.